In this exclusive clip of From Page To Screen: A Black Panther Discussion with Writers and Filmmakers, Ryan Coogler explains how his trip to Africa influenced his approach to creating Wakanda in Black Panther. “I like to start projects out with a question that I’m trying to find the answer to. One is what does it mean to be African?,” he says in the clip. 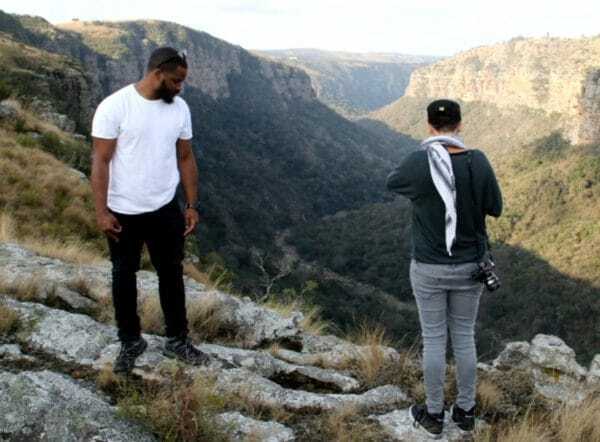 The co-writer and director of Black Panther decided to take a journey to the Motherland before he started production on the Marvel blockbuster. Part of the trip was based on research, the other part is because he had never been there before. That life changing experience became the inspiration behind his depiction of Wakanda in the film. Black Panther has out-grossed 2012’s The Avengers, making it the top-grossing superhero movie ever in North America. It will finish out this weekend with approximately $630 million, to The Avengers’ $623 million. The movie has topped every week since it opened on February 16, the first movie to do so in North America for five weekends in a row. While it will fall to Pacific Rim Uprising this weekend, its crown is secured in the superhero universe. Check out the video to get an idea of what kinds of treasures await us when the digital version of Black Panther is released on May 8 and on Blu-ray and DVD on May 15. The post WATCH: Ryan Coogler reveals how his trip to Africa inspired Wakanda in ‘Black Panther’ appeared first on theGrio.